Overtyme Bar & Grill was established in 2013 out of a passion for entertaining, amazing food and service. One of the most vibrant sports bars nestled in the heart of Central Georgia, Overtyme Bar & Grill, offers a fun, laid back, high energy atmosphere. Whether it’s coming in to enjoy any sports game on one of our many Hi-Def big screens, partaking of our mouthwatering menu or to simply enjoy music from one of Macon’s hottest DJs you don’t want to miss the action! 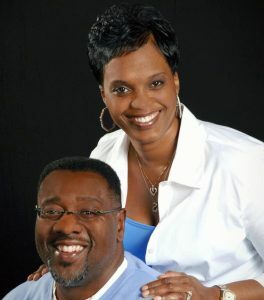 As community investors, Larry and Charity Harris are continually giving back to the community. Whether through the offering of employment, serving as a life coaches for families, providing mentoring services for troubled youth, or health services for the homeless, The Harris’ live knowing that we have not been called to ourselves but to impart, improve, and impact the lives of others. They constantly dare to dream with a heart of servanthood. No dream will ever manifest without vision. One’s vision is only preserved when you possess faith. Their divine partnership makes it obtainable to live out the mission of both of their businesses; Overtyme Bar & Grill and 360 Automotive Group. No matter what they are doing, they have more of a sense of accomplishment and satisfaction when they are serving others.